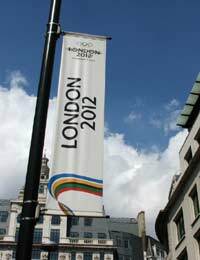 The City of London will officially begin the 2012 Olympic Games on 27 July, 2012. This will be the third time Britain has hosted the Games but this time over four billion people worldwide are expected to watch the London 2012 Olympics. When Do The London Olympics Officially Begin? The opening ceremony of the London Olympics takes place on 27 July 2012. The traditional Olympic Flame will be brought into the stadium and the lighting of the cauldron will officially mark the beginning of the Games. The Olympic torch will have travelled 8000 miles around the UK over the course of 70 days. The Games will run until 12 August with the Paralympic Games running from 29 August to 9 September. How Much Has Been Spent on the London 2012 Olympics? There is no doubt that the Olympics is set to be a spectacular event and has brought much business to the UK but this does not come without a cost. The final financial outlay is still uncertain but only £974 million is left of the original £2.747 billion of taxpayer’s money that was earmarked for the Games. The Aquatics Centre alone comes with a price tag of £269 million while security for the Games is expected to be around £757 million. According to Lloyds TSB, the London 2012 Olympics will generate over £10 billion in revenue for the UK. How Many Sports Events Will Take Place? There will be 26 sporting events during the Olympics ranging from archery to wrestling. Athletics is the biggest and most popular sporting event and 2000 athletes will compete over 47 events. The purpose built Olympic Stadium will be the venue for athletic events including the High Jump, Shot Put, Pole Vault and Decathlon. Athletics defines the original motto of the Olympics, which is ‘faster, higher, stronger’. It is expected that 205 nations and 10,000 athletes will take part in the London 2012 Olympics. Just How Popular are the Olympics? It is estimated that over two thirds of the world’s population will be watching the London 2012 Olympics. The Olympics opening ceremony actually sold out ten times over when tickets went on sale. Of the 6.6 million tickets available for the various sporting events there were 20 million applications. Ticket prices ranged from £20 to £2000 and statistics showed that most applicants requested 11 tickets. Tickets for the opening ceremony and sporting events were allocated using a lottery system. How Can People Watch the London 2012 Olympics Watch Around the World? Around 450 employees have conducted 200,000 hours of IT testing at the Olympics Technology Operations Centre to ensure the smooth running of telecommunications and Information Technology. With the advancements in technology and of course the internet it has never been easier to stay in touch with the action during the Olympics. It is estimated that 8.5 billion people will be connected to the net via computers and mobile phones in 2012. Real-time information and event results will be available via the internet and this is set to be the biggest ever Olympics online event. What Do the London 2012 Olympics Mean to the UK? Generating business is one the biggest positives of the London 2012 Olympics. But researchers claim there has been a big divide between the North and South of the country with the South of England seeing the biggest benefits. A boost to the tourism industry is predicted, and the government has created a tourism fund that is expected to create £1 billion in marketing and PR for the UK tourist industry. Whether the Olympic spirit can overcome the doubts over the cost and business benefits to the UK remains to be seen. What is the London 2012 Festival? For those more interested in cultural than sporting events the London 2012 Festival will definitely be something to look forward to. A huge line up of events featuring music concerts, film, theatre, fashion and art will take place at various venues throughout the UK. This is the culmination of four years worth of cultural events that have taken place around the UK prior to the 2012 Olympics. The festival begins on the 21 June until 9 September and is promoted as the biggest party the UK has ever held. Where Can I find Out More about the London 2012 Olympics? The official London 2012 website is the place to go for more information on sports and festival events and for ticket information. Costs aside it looks like London will be one of the most exciting places to be in the UK, if not the world, during the 2012 Olympic Games.